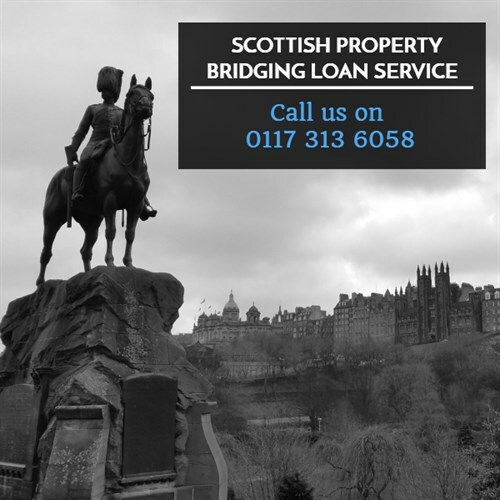 Looking for a bridging loan solution for property in Scotland? To investigate your bridge finance options for residential or commercial property in Scotland, call our finance team on 0117 313 6058 or fill in our call back form. This type of loan or finance can be ideal when you are up against the the clock and where funds are needed quickly. A typical scenario is where you have yet to sell your house, but you have found a new property and you need short-term finance to secure the purchase until your sale goes through. Like a mortgage, a bridging loan is secured against property or assets with the typical loan to value in the region of 70%. Is is possible to acheive a 100% loan to value bridging loan if there are other assets that can be used in the background as leverage. Call our team today on 0117 313 6058 or complete our callback form to discuss short-term finance options for property in Scotland. Short-term finance is more expensive than long term funding, however with the extra cost you get speed and convenience.